I have some updated goals, y'all! 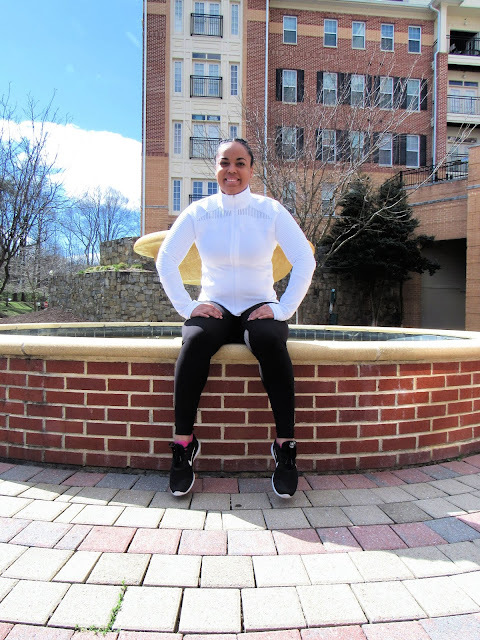 I've been rocking and rolling with my level of activity and getting into running again. I'm noticing little changes, like the fact that I can teach a full indoor cycling class with fewer water breaks for myself, that I have more definition in my arms, that my legs are getting so strong. 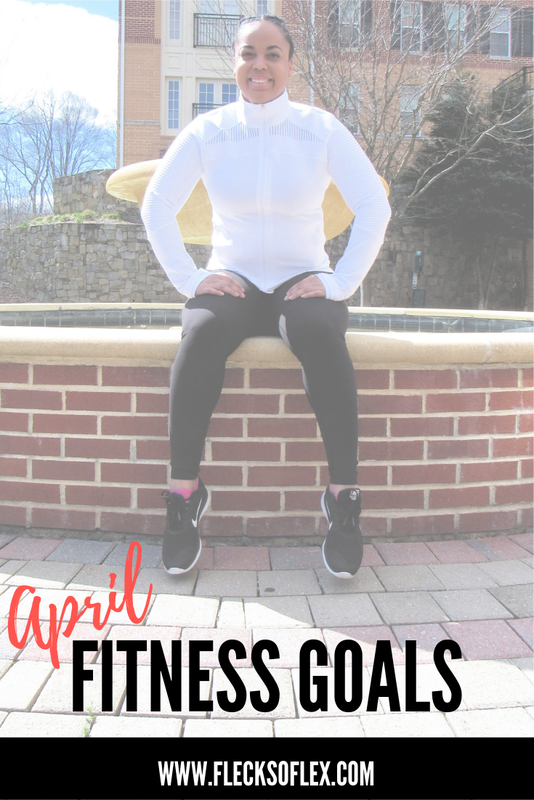 I feel like I'm in a good place to push myself a bit more, so I'm sharing my 5 fitness goals for the month of April! Increase Strength - This is just an ongoing goal for me these days. I'm constantly wanted to get stronger, so I don't see this goal disappearing any time soon! Tone - There are certain areas that I want to slim down and tone up a bit. I'll be focusing on toning this month - particularly my core! Run More - I've signed up for a couple of races, and I have a big one this weekend. By the end of this month, I think it will be safe to say I will have definitely done a lot more running! Weight Loss - Another constant battle. I'm a believer in the slow-and-steady method (though I wouldn't be mad if I ever lost 30lbs in one sitting!). I'm not close enough to my goal weight, but I believe I'll get there. I will just continue to make this a priority. Cut back on sweets! - I have been eating sweets like an unsupervised child, honestly. We have a lot of sweets around my office, and it became very hard for me to resist last month. What's crazy is that I don't even have a sweet tooth, so who knows why I have been going HAM on danishes? Oh, I know: "stress eating." I have been stress eating pretty much everything in sight. I'm not proud. Nonetheless, I can definitely make a change and quit succumbing to peer pressure. I hope you have a fabulous April! Enjoy the changes that come with spring and all of the outdoor activities that may be a different experience for you than they were in March! What are your fitness goals for this month? What is the hardest goal you will tackle?